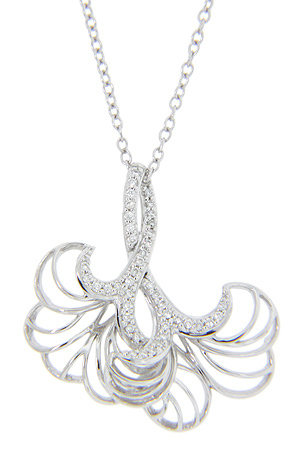 An intertwined double leaf design is studded with diamonds on this 14K white gold antique style necklace. Featuring diamond sparkles and lovely flowing curves the pendant measures 1 1/8” in height by 1 1/16” in width. The chain measures 16” in length.